I have been browsing Pintrest this evening and I must admit, I am green with home decor jealousy. I wish my place looked half as beautiful as any of these. 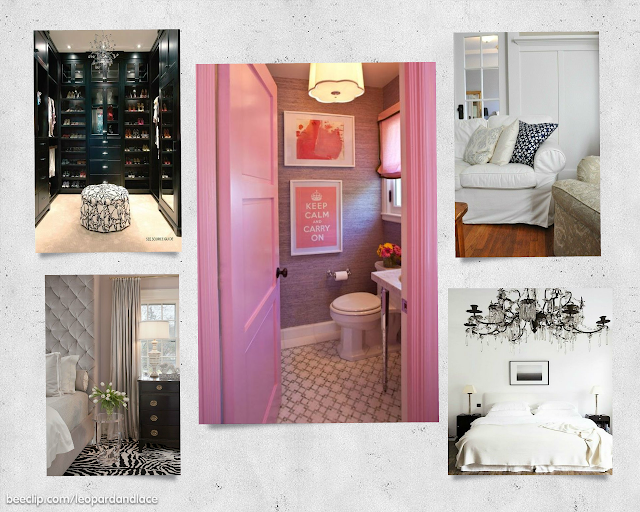 I love the pink bathroom with the "Keep Calm and Carry On" sign...and the huge walk in closet! Adorbs! What kind of decor do you like?